This was the biggest demonstration in Taiwan’s history. In a clear sign that the island’s mass protest movement is gaining rather than losing momentum, 500,000 people thronged the streets of downtown Taipei on Sunday 30 March to oppose president Ma Ying-jeou and his hated Cross-Strait Services and Trade Agreement (CSSTA). The gigantic demonstration was clearly not just about the trade deal, but reflected massive anger over the Kuomintang (KMT) government’s handling of the political standoff since around 300 students occupied the Legislative Yuan (parliament). Sunday’s demonstration marked the 12th day of the students’ occupation. The demands of the protest movement have now expanded from the original opposition to the CSSTA pact, to calling for the resignation of President Ma and of Premier Jiang Yi-huah, who ordered the brutal police crackdown last Sunday. The rally which was originally to be held from the Legislative Yuan down Ketagalan Boulevard to the Presidential Office spilled over into neighbouring streets due to the high turnout. Chants of “Down with Ma” joined the earlier rallying cries of “Withdraw the trade pact .” Stickers, placards and banners with slogans such as “When dictatorship is a fact, revolution is a duty” filled the hands of the protesters, along with criticism of a violent government. Ma was deeply unpopular before the current crisis (9 percent in the last opinion poll before the occupation) and is now even more the focus of the massive discontent. On the demonstration today and last week’s protests he is depicted as a dictator. The movement is widely seen as a defence of democracy, which it is, although left in such vague terms this does not tell us much about what needs to be done. Socialists campaign to give such moods a sharper and more precise content through our agitation and demands. 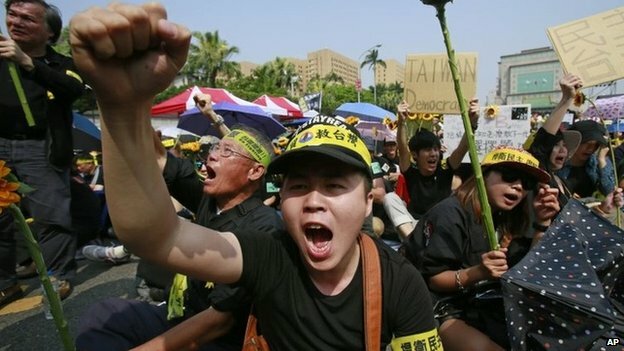 The KMT, which ruled Taiwan as an open military dictatorship for four decades before adapting to ‘democracy’ in the late 1980s, has in recent years drawn closer to the ruling Chinese dictatorship. Both sides have put historical emnity (the Chinese civil war) aside in the interest of mega-profits for the capitalists, which is the main motivation behind the CSSTA deal. Many in Taiwan fear the Chinese regime’s increasing influence not only over economic issues but also in the political sphere and the media. The KMT largely won the 2012 election due to economic pressure – verging on blackmail – from Taiwan tycoons with big investments in China who threatened that a defeat for Ma would lead to investment and jobs leaving Taiwan. Socialists explain how these processes have a class basis – the Taiwan capitalists’ are the prime movers behind the KMT’s embrace of the Chinese regime and have few qualms about trading away democratic freedoms for bigger profits. As the crackdown of 23-24 March also shows, the Taiwanese state does not need any lessons from China on how to repress the people. Does the DPP offer a solution? The anger of the Taiwanese people towards the government is palpable, but so is an increasingly sceptical attitude towards the opposition Democratic Progressive Party (DPP) whom many feel do not really offer any real alternative to the unbridled neoliberal capitalism of the KMT. The DPP (whose former leader Tsai Ing-wen cites Thatcher and Reagan as leaders she admires), are not the solution to the demands of the protestors as they are still a party with a capitalist agenda for Taiwan, as shown by the fact that they do not completely reject the CSSTA, but rather want to keep it while tagging on some DPP amendments. Sections of the student leadership are also coming under pressure from the DPP to tone down the demands and expectations of the movement. While talks and attempts to broker a deal with the government have fallen through, mainly due to Ma’s rigidity, there will be new attempts, probably very soon, to persuade the students to end their occupation in return for partial concessions such as a resumption of the review process for the trade pact. Such an outcome would fall massively short of the demands and expectations of the mass protests, which not only want the entire CSSTA deal scrapped, but also have no confidence in the continued rule of Ma and his gang. In this radicalising environment growing numbers are looking for a real alternative to the privatisation and outsourcing policies that the CSSTA would speed up. As each day passes the mood of the protesters is becoming more radical than the position of the DPP leaders and even the student leaders at the present time. The demand for Ma to resign was one of the main slogans chanted at the demonstration, which goes further than the demands of the student leaders. To guard against the movement falling short and not realising its goals, democratic structures and regular mass meetings are needed to involve the mass of youth and workers in discussing the way forward. The CWI in Taiwan calls for democratic strike committees to be set up in the universities and schools to link-up and coordinate the struggle as well as appealing to workers to call meetings and pressure their unions to act. 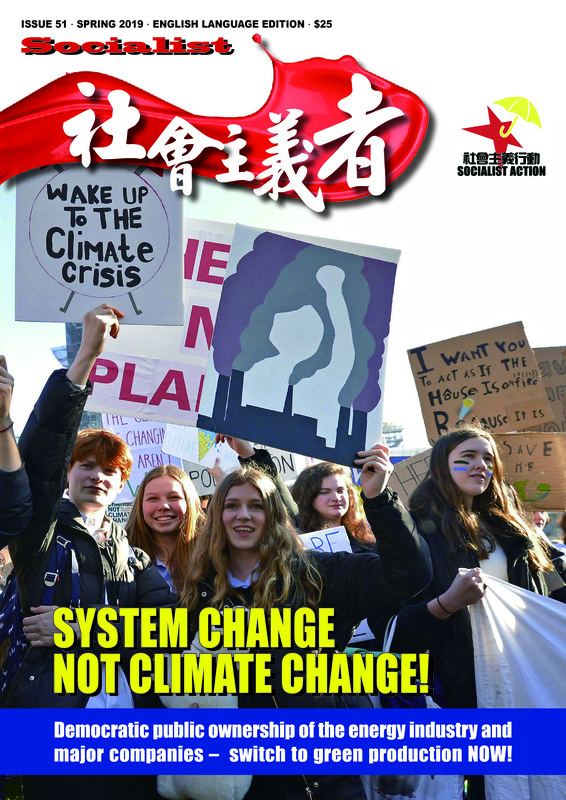 In addition to scrapping the CSSTA, the CWI in Taiwan are also calling on all students and workers’ unions to organise and build for a 24-hour general strike, which would massively increase the pressure on the government and the ruling class, and show the power of the working class as the key force for social change. We call for the government to be driven from office and for the urgent creation of a new working class party as the only genuine alternative to today’s rival capitalist blocs. Complete opposition to the CSSTA and all capitalist trade deals! Mass struggle against outsourcing and privatisation, build the unions as fighting and democratic organisations! 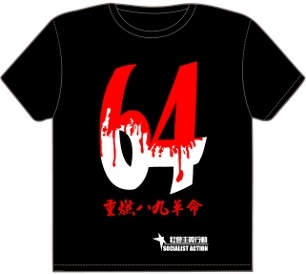 Down with Ma, Jiang and the KMT! Continue and step up the movement to force new elections! For a Taiwan-wide student strike organised from below through democratic strike committees! For a 24-hour general strike of workers against the government! Build a mass workers’ party to resist the current capitalist merry-go-round of (KMT-led) ‘pan blue’ and (DPP-led) ‘pan green’ blocs.